Camp songs are an important part of the Watitoh experience. Campers and staff have sang most of these songs since 1937 and the tradition has lived on every summer summer since. Before we go to bed each night at Watitoh, the whole camp stands together and sings a special song called an alma mater. 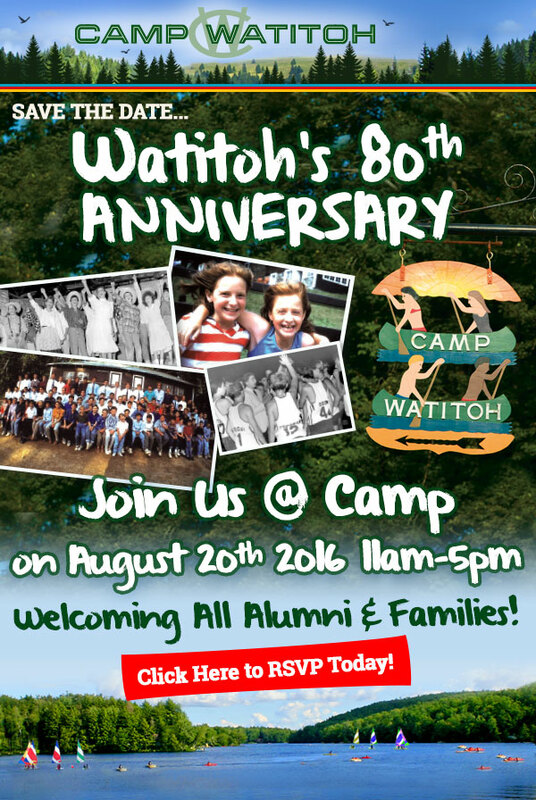 Just as we have for over 50 years, we join together to sing “Friends”, the Camp Watitoh Alma Mater and the traditional Taps. “We are the Girls” is the anthem of girls camp and “B-O-Y-S the Best” is the same on the boys side. The individual alma maters represent the camaraderie of our individual campuses. These songs are often heard during the “Camp Sing” and other meaningful events.